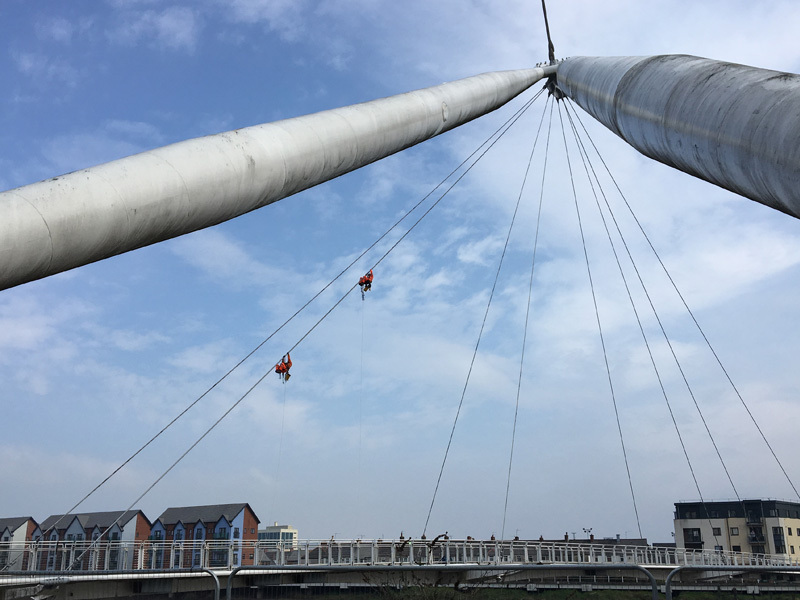 Following a successful tender process, iBEX began works in early April to pressure wash the Newport City Footbridge. 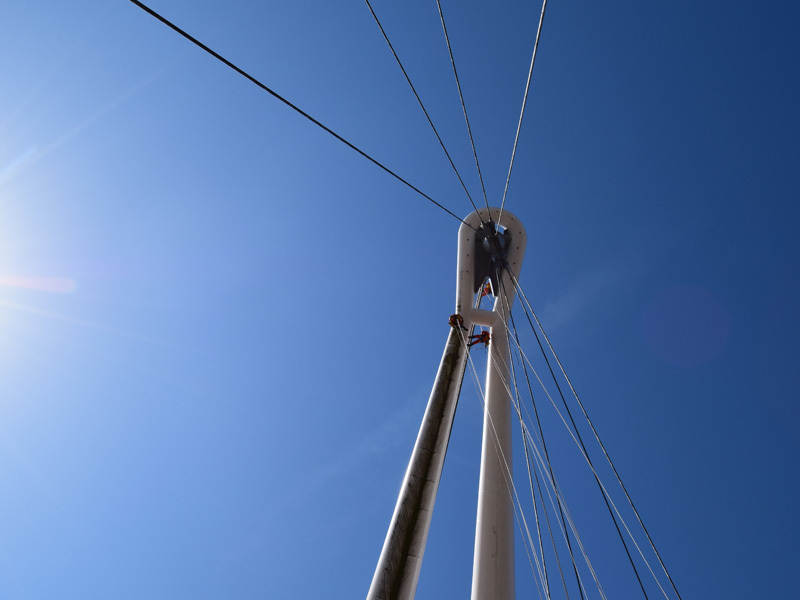 This iconic structure was opened in 2006 and spans 145m over the River Usk. 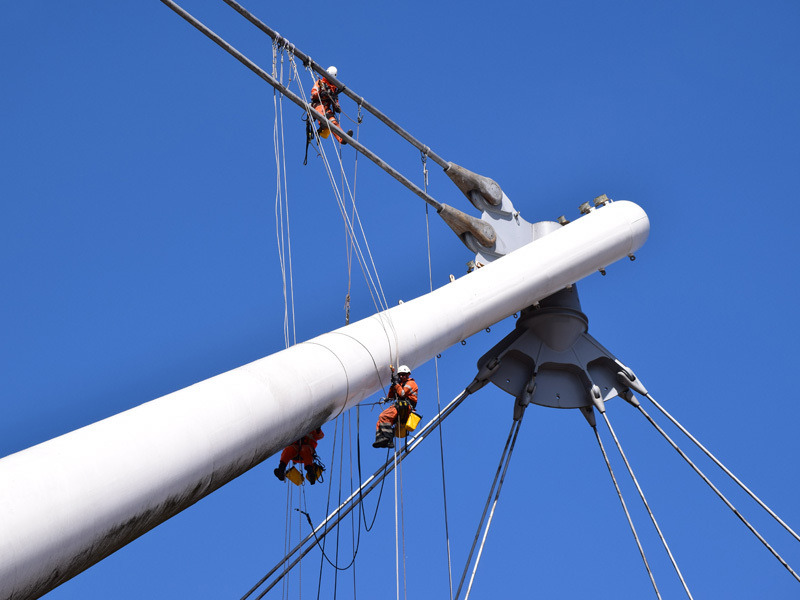 Over the past 12 years, the exposure to river mud and weather conditions had dulled the once white bridge. 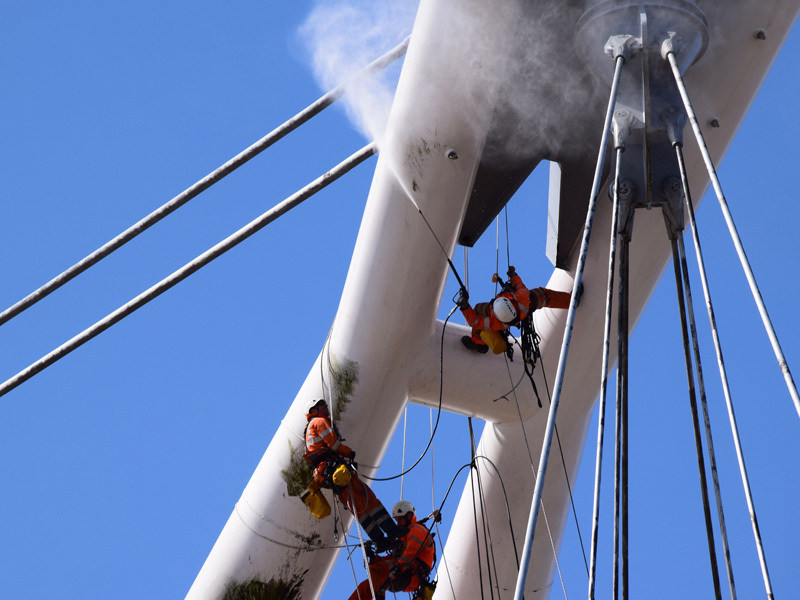 iBEX was tasked with cleaning the 75m tall structure using rope access techniques utilising pressure washers. 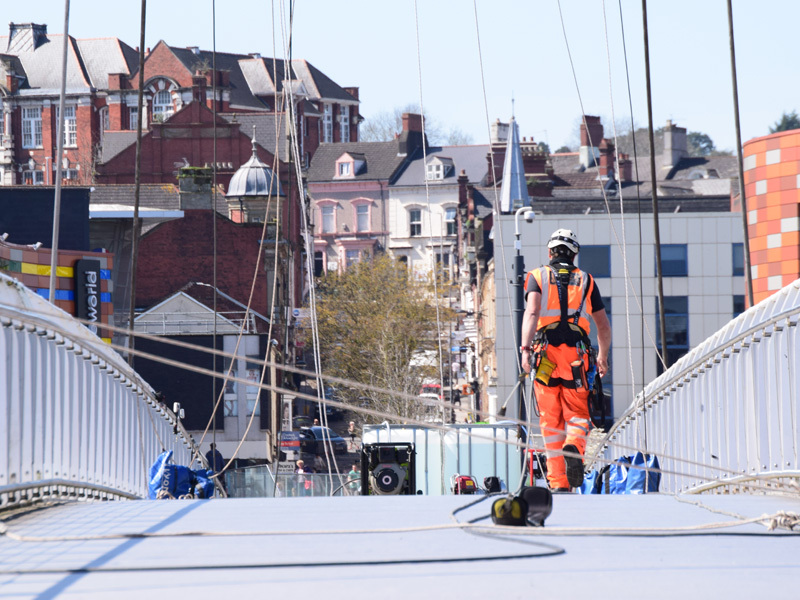 The footbridge plays a valuable part in the life of the city, it was therefore imperative we worked as quickly and effectively as possible to enable the bridge to re-open as soon as possible. 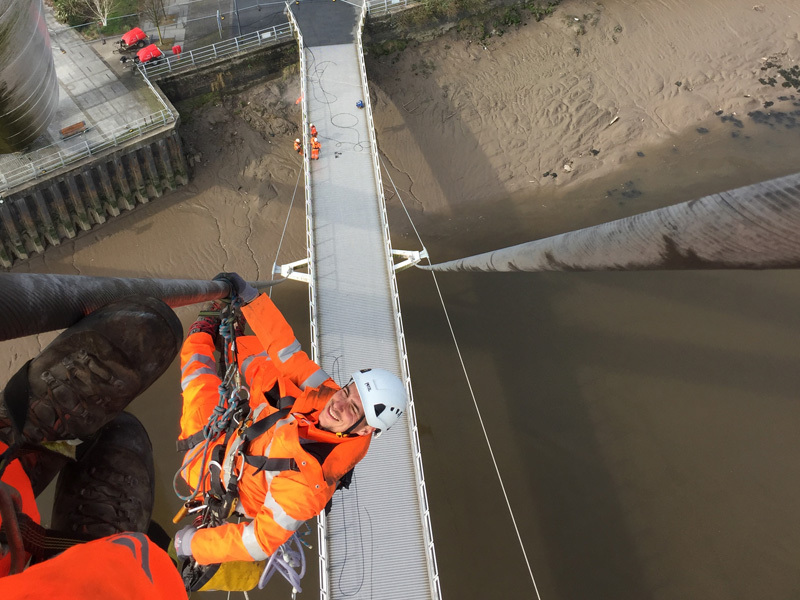 The project was completed in a tight 2 week programme at the client’s request, allowing the bridge to be re-opened ready for the Newport Marathon.